Please contact us and we would be glad to assist you. Two years ago, Loriann Greenall learned just how far away Vancouver can be, when her sister Tammy traveled south for chemotherapy treatment and the telephone was their only source of communication. But Tammy continued the treatment and is now recovering at her home in Prince George, although Greenall now lives in Kelowna and the two sisters are still hundreds of miles apart. 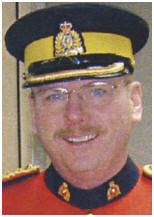 So Greenall has decided to reach out to other families who may be facing the same long-distance problems by co-founding Windows of Hope with her old friend Tony Romeyn, whom she worked with at the Prince George RCMP Victims Services Branch. 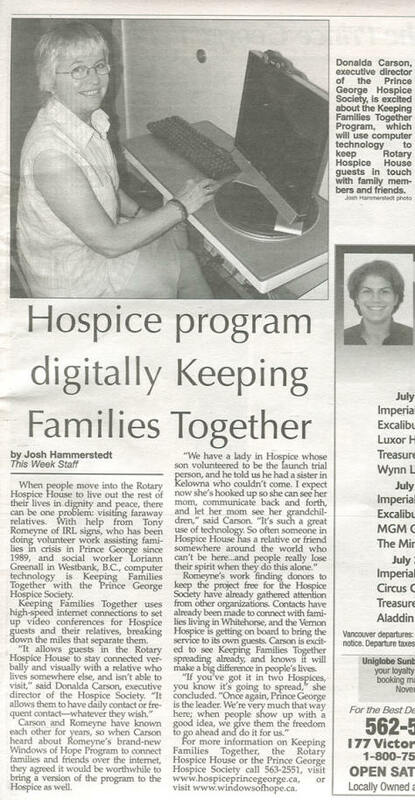 Windows of Hope is headquartered at the Prince George Hospice Society and it provides a peer-to-peer computer networking system that allows users to have long-running real-time chats using a Web cam. The technology is much more intimate than e-mailing or telephones and the benefits of face-to-face conversation are immeasurable, and Greenall uses the same technology to keep in touch with Tammy from her home in Kelowna. Another major practical advantage to this kind of communication is that friends and family are able to virtually enter a sterile medical environment that may sometimes be off-limits. “Having people coming and going is a little risky for a patient that is going through chemotherapy,” Greenall says. Tony Romeyn, owner of IRL Supplies and co-founder of Windows of Hope, jumped at the chance to help families deal with major medical problems. 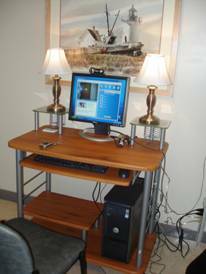 The computer equipment currently set-up at the Hospice House was donated by a local resident who wishes to remain anonymous, and the organization has also received four notebook computers that will allow local families to connect with ailing loved ones in the comfort of their own homes. For more information go to www.windowsofhope.ca or call Tony at (250) 613-6269. Prince George families now have a way to talk to loved ones receiving treatment at a cancer lodge in Kelowna, thanks to a new videoconference system. The special camera system at the Southern Interior Rotary Lodge in Kelowna, which allows patients to see and hear family via a portable laptop in Prince George, is a first for B.C. "As I was testing it, a whole bunch of patients gathered around, and the quick question I heard was 'can I get that in my community?' 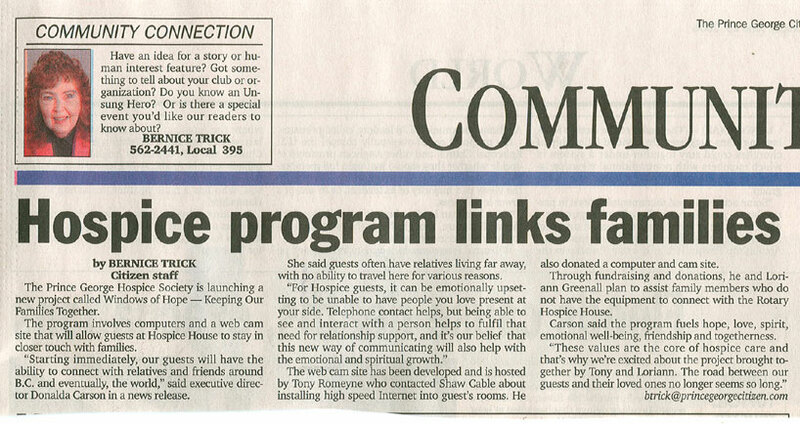 because there are patients here from Salmon Arm, Merritt, Williams Lake, so the answer I have is this is a pilot project and we hope to expand it to other communities," said Tony Romeyn, a Prince George businessman who founded the project called Windows of Hope. Romeyn was approached more than a year ago by Loriann Greenall, a friend who had a sister undergoing cancer treatments far from home in the summer of 2004. "I remember there were times when (sister Tammy) had such a difficult time being away, she was often very discouraged, and I often thought how unfair it was," Greenall said. "Her family couldn't afford to come down to visit often or pack up and be with her for those six weeks. By the end of the first week they were all already feeling that separation. You are alone, you are in a clinical environment, you are facing scary obstacles and that is when you want to be in the best possible frame of mind." Romeyn learned the technology did exist, but it was expensive, which meant most most cancer facilities he approached were reluctant to join the project, until he found an ally at the Kelowna cancer lodge. "Kelowna was very excited, so much so that we decided to put all our efforts into that one place, to get things up and running," Romeyn said. "We will get it going there and use it to show other cancer facilities or children's hospitals ... that indeed this can be done at a very reasonable cost and very easily." The Windows of Hope were thrown open by the University of Northern B.C. Dr. Waqar Haque leads UNBC's industrial collaborative research group. Normally he and his team charge commercial rates for developing software and building computer systems, but they were so moved by the proposal that they did most of the development for free. Haque also approached the industry and found all the hardware the project would need at insider prices. 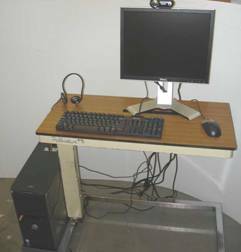 "We have a nice working solution we delivered to him (Romeyn) last week," said Haque, including ongoing maintenance and a street-language user manual so patients and their loved ones can operate it easily. "The computer just rings like a phone, you pick up, and there you are, on-line." Haque said it was a difficult process to develop the system on the scant budget Romeyn had to offer them, but now that it is done, it is cheap and easy to replicate in other places.